The SW-1 is a quad bidirectional switch in Eurorack format with manual or CV control over the switches. It can be CV controlled well above 100 kHz which opens up for interesting wave shaping of audio signals. SWT, switched wave transformation. Bidirectional switch means that signals can flow in both directions through the switch. You can send signals in on 1 and out on 1G or 1R. Or you can send signals in on 1G and 1R and 1 will be the output. The switches can be latched in pairs. The layout is for ergonomics when switching stereo buses. Cv control can be done up to well above 100 kHz. This opens for interesting wave shaping as you can switch out a piece of a single cycle of an audio rate signal and replace it with something else. SWT, switched wave transformation. 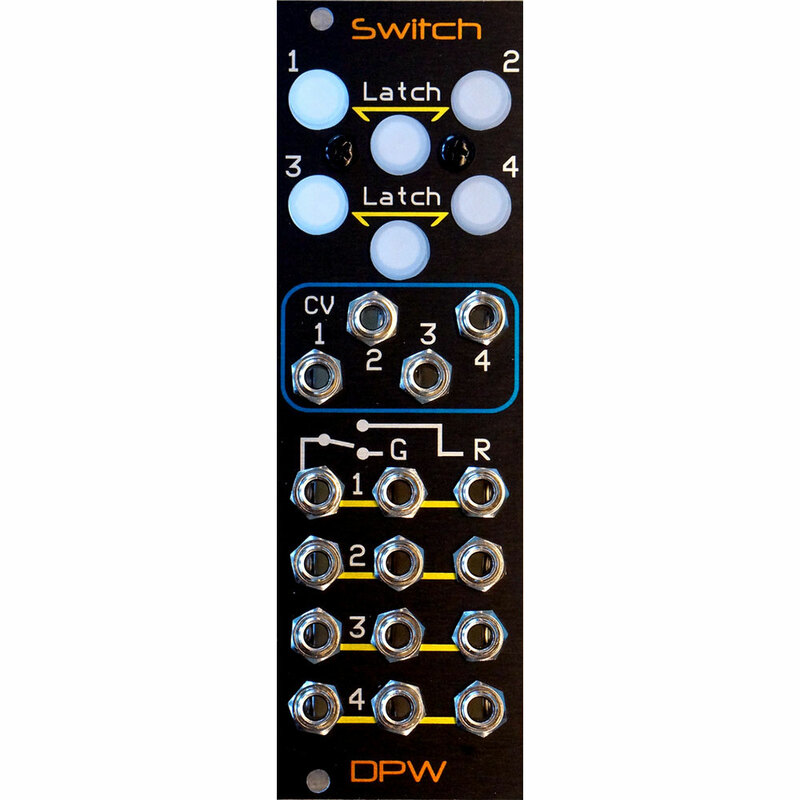 Or change/swap places of your modules in your chain at up to high or above audio rate. Module size: 8 hp wide, 25 mm deep with power connector. Power requirements: +12V. Max power consumption 30 mA. -12V. Max power consumption 5 mA.